Every Guitar player has very personal experiences about how the guitar has changed their lives. Mine started as a 15 year old wanting to play for our very small church youth group on trips to the beach. As life grabs and twist you with family, work and other interest, I personally put the guitar away at least five times frustrated that I just hit the wall and couldn’t get enough practice time in to move forward. But you know those 6 strings kept calling, and after many years I decided to re-immerse myself back to that passion I had for the guitar. 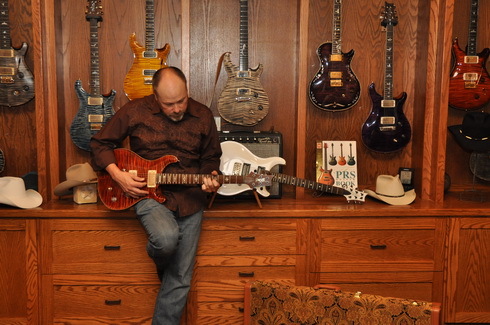 I had put away some very cool PRS Guitars and revisited some old relationships and found myself on “The Hook” again. At GTRMAV, our goal is to help you find and enjoy THAT Guitar that “sings” to you...the one that has the MOJO to make you want to play and practice.